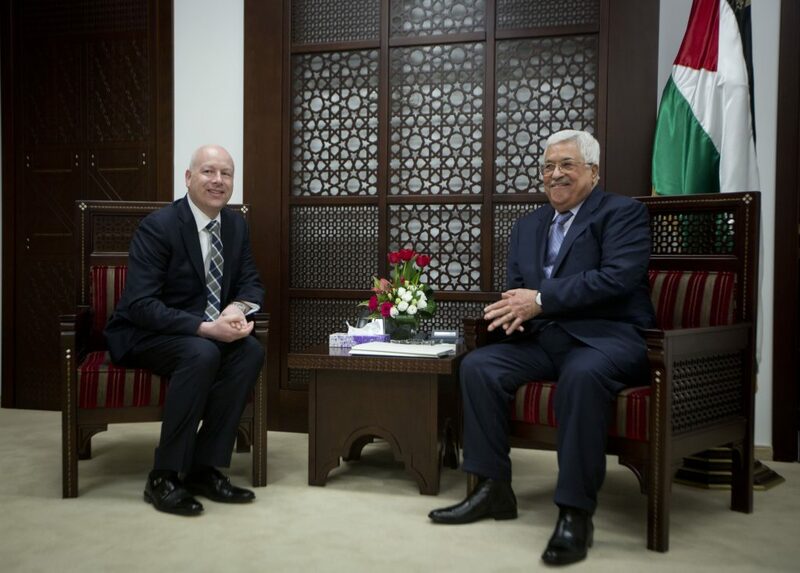 Over the past few weeks, Greenblatt has been tweeting his thoughts, requests and criticisms to those Palestinian leaders who are active on the popular social media platform. Since December 2017, when Mr. Trump announced he would recognize Yerushalayim as Israel’s capital and transfer the U.S. Embassy there from Tel Aviv, a move considered highly controversial and one-sided by the Palestinians, leaders and peace negotiators from the Palestinian side have waved off all U.S. diplomatic efforts. Despite the cold shoulder though, the U.S. says it has forged ahead with what Mr. Trump once described as “the deal of the century” to solve the decades-old Israeli-Palestinian conflict. In recent weeks, there has been speculation that this improbable peace plan will be unveiled following Israel’s general election, which takes place on April 9. There has been no official indication of it, however. It was such a denial that kicked off this latest round of Twitter diplomacy on Jan. 17. The message was followed by a long thread that seemed to shine a spotlight on the Trump administration’s frustrations with the Palestinian leadership for its continual refusal to meet with or speak to U.S. officials. Since moving the U.S. Embassy to Jerusalem last May, the administration has further alienated the Palestinians by cutting back on almost all avenues of aid and funding, even to the point where the financial lifeline that supports the Palestinian Security Forces, essential for assisting the Israelis in maintaining security and peace in the area, also looks set to end. This contentious point was highlighted Friday by Nabil Abu Rudeineh, a spokesman for Palestinian Authority President Mahmoud Abbas. He said the cutbacks would have a negative impact on all and increase instability.